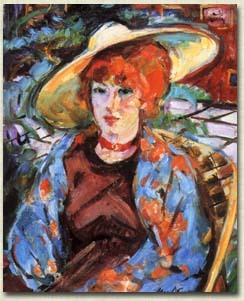 Of American origin, with France as her adopted country, Janet GREENBERG chose to study in the south of France at the age of nineteen. As an author and a publisher, Janet GREENBERG released a new book, "MAX-AGOSTINI (1914 -1997 ) Retrospective - The Mystery of Creation ", (GMCM S.A. EDITIONS, Paris 1998). This English/French art book has more than eight hundred eighty illustrations (seven hundred ninety-seven in color) on five hundred forty-four pages. After the opening in 1970 of the Gallery MARTIN-CAILLE MATIGNON in Aix-en-Provence where she promoted works by the artists Priking, Pierre Cornu and MAX-AGOSTINI, Janet GREENBERG opened the Gallery MARTIN-CAILLE MATIGNON in Paris in 1974. Already under exclusive contract with the Gallery, MAX-AGOSTINI renewed his contract with Janet GREENBERG in 1983. Since then she has enabled the talent of this leader of contemporary Impressionism to radiate around the world with collectors in over seventy countries. The media : RONDA IBERIA, VALEURS ACTUELLES, ENTREPRENDRE, PARIS CAPITALE, RADIO CLASSIQUE, BFM, RADIO FRANCE INTERNATIONALE (R.F.I. ), AOM MAGAZINE, PRESS CLUB MAG', LE BERRY REPUBLICAIN and RADIO BLEUE report on a regular basis her multiple activities and her dynamic undertakings. The numerous letters of congratulations coming from personalities worldwide (Mr. Jacques CHIRAC, President of France, Mr. Félix ROHATYN, American Ambassador in Paris, etc.) prove that her exclusive collaboration with the Master (even after his death) continues to be a great success. 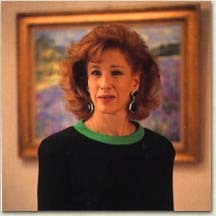 In 1988 Janet GREENBERG created a production company, GMCM Films, specializing in music and painting documentaries. Since then, she has produced and directed five films, including "MAX-AGOSTINI: HIS LIFE AND HIS WORKS" (1989), an intimate and informative portrait on the life of this Master. This twenty minute documentary was attributed the 1989 TELLY AWARD in the United States, for Best Artistic Documentary among three thousand candidates. From 1992 to 1996, she founded and presided over a nonprofit organization, "Europe of the Arts" a cultural club for European executives, and animated a radio show "CARNETS de VOYAGES" for Paris' BFM, covering all worldwide cultural events for over a year. Because of her passion for art, music (she has a grand piano in her office), cinema, and languages, she has devoted her professional life to better serve the Arts.